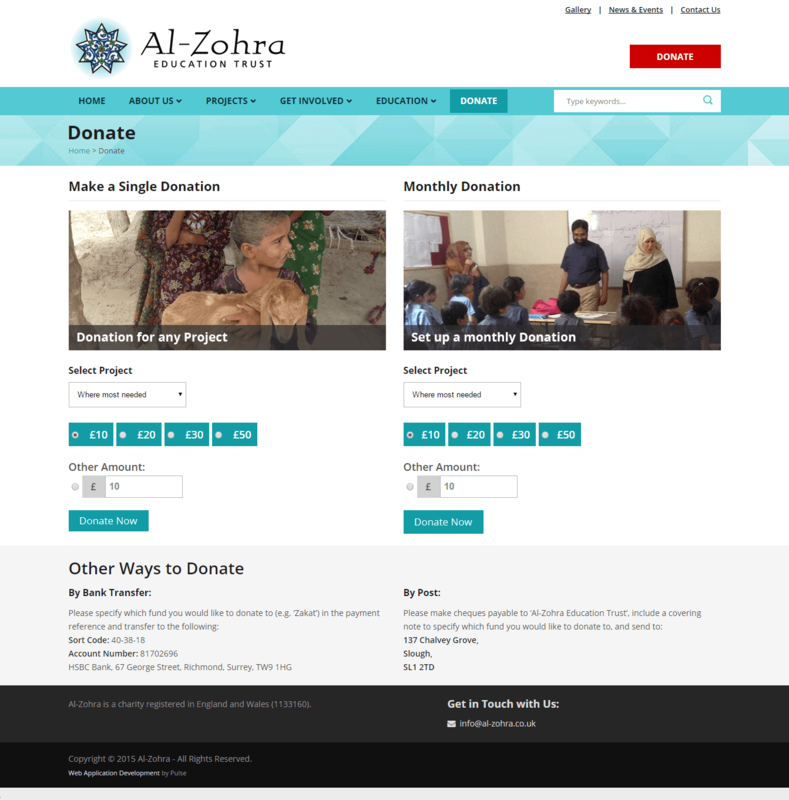 Al Zohra Education Trust is an Islamic registered charity based in Slough, Berkshire (UK), dedicated to education and poverty alleviation in the UK and overseas. 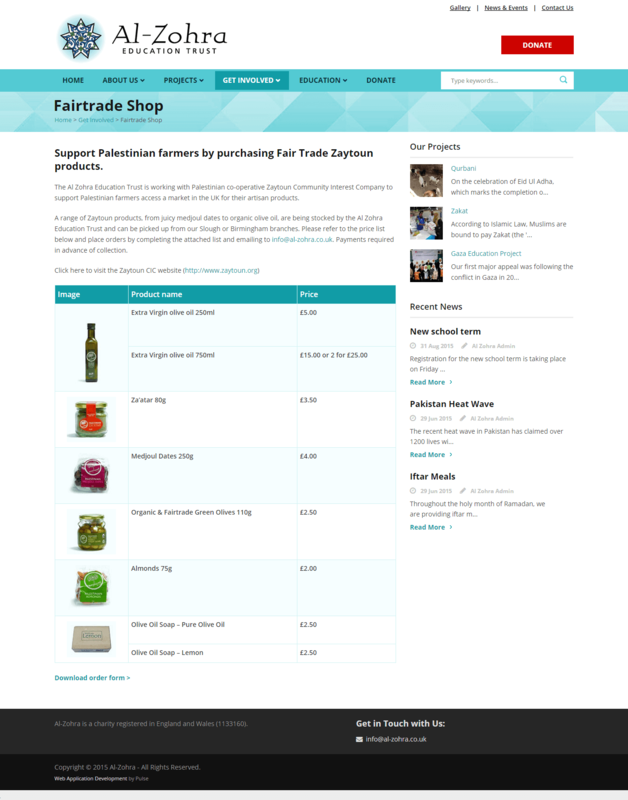 Shahnaz Akhtar founded the Trust more than ten years ago. Following the devastating 2004 earthquake in Pakistan, she started to raise funds in the local community to support the relief effort. Inspired by her work, a group of sisters joined her and remain part of the Trust’s core team of volunteers today. 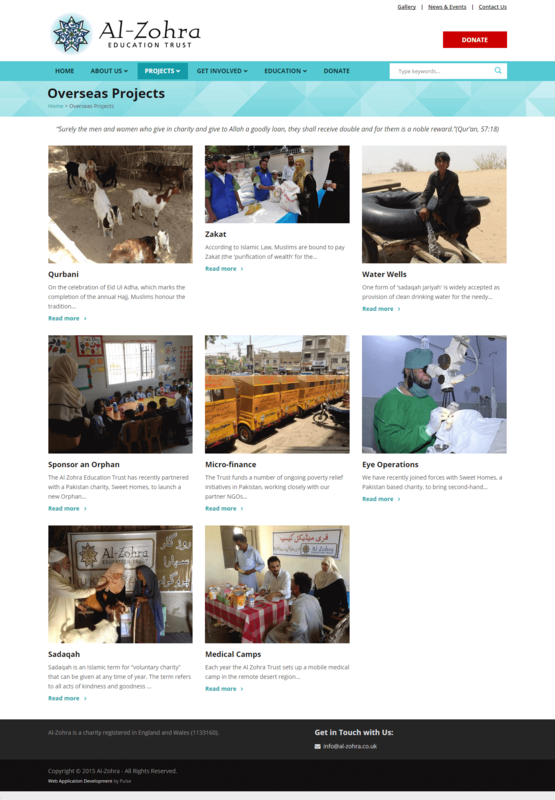 The charity gradually expanded becoming registered in 2009, and continues to be run entirely by a team of sisters. 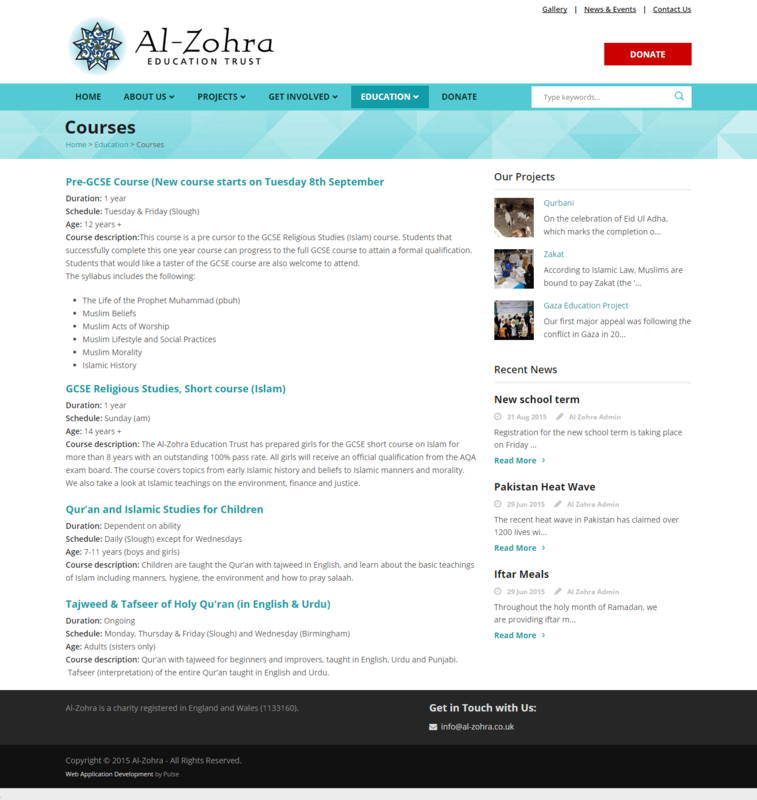 Pulse Solutions was contracted to build a site that inspired confidence, displayed information about Al Zohra achievements and above all be fun and easy to browse. 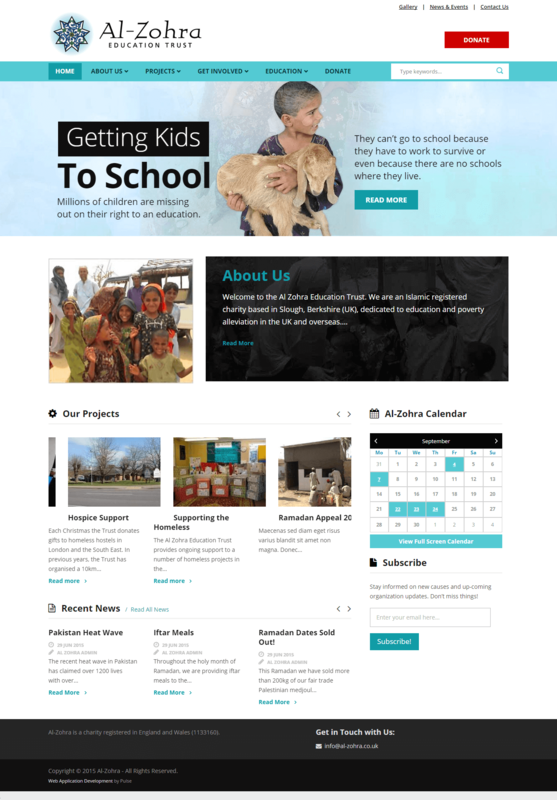 A simple hard hitting wordpress theme with tastefully deployed pictures make the site attractive, clear and fun. 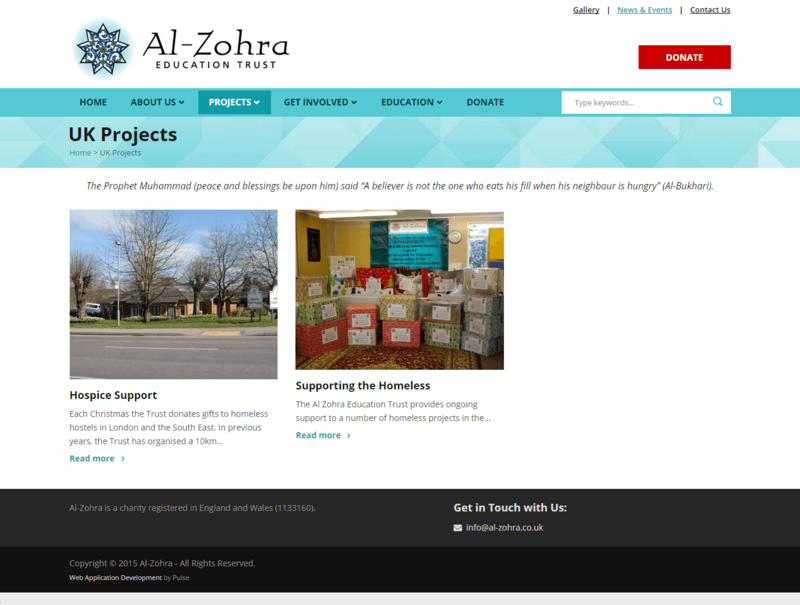 The site generates more donations as well as creates far more awareness about the problems Al Zohra is fighting for.